The Great Plains Resource Center provides quality contemporary resources for educational programs in the local church through an ecumenical partnership. Sponsoring denominations are the United Methodist Church, the Presbyterian Church (USA), the United Church of Christ and the Christian Church (Disciples). In September 2013, the Kansas United Methodist Resource Center became part of the center and it was renamed. 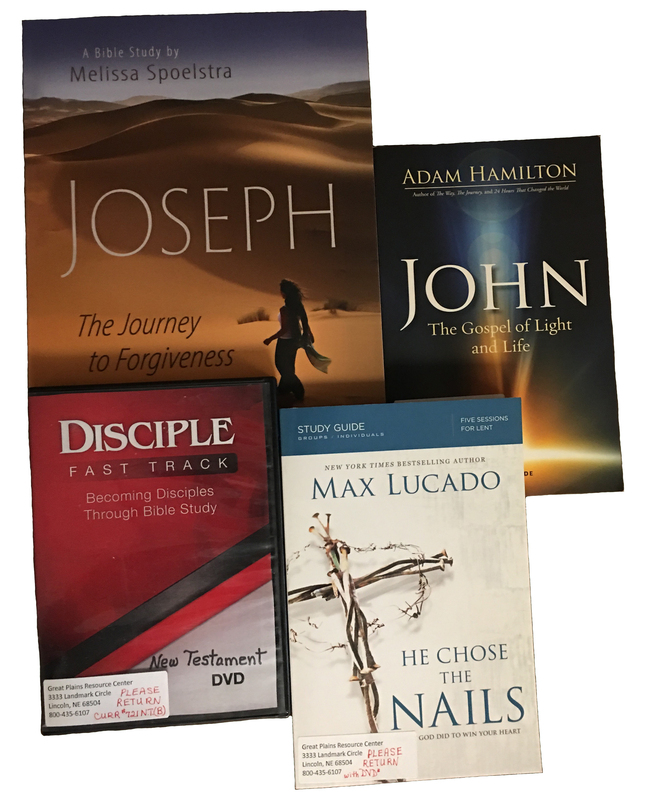 There are more 2,500 video resources available for Bible study, small groups, men's groups, retreats, counseling, women's groups, confirmation, youth groups or Sunday School classes. The Great Plains Resource Center website can be found at www.gpResourceCenter.org. The Great Plains Resource Center is open Monday through Friday, 8 a.m.-12:30 p.m. and 1:30-4 p.m.
A congregation can choose to become a member for a one-time annual fee, or may pay on a per-use basis. The membership fee is based on the average worship attendance at the church, so small churches pay less than a large church. If a congregation only uses the resource center two or three times a year, then paying for each one that is ordered is a good option. If you would like to become a member, download the registration form or register online by selecting the button below. You can find more resources by taking a look at The Great Plains Resource Center at www.gpResourceCenter.org. Please submit all resource request via the online request form.